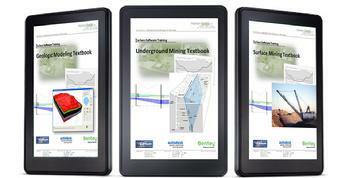 *Mining Training* Harken-Reidar has been offering Carlson Mining training for over 7 years. We have placed a large investment into developing textbooks with detailed applications and procedures for Carlson Mining software and includes Basic, Geology, Surface and Underground mining. Our training includes both Coal and Non-Coal mining and we are pleased to show you our credentials, references and evaluations. A sampling of our clients comprises Peabody Energy, Consol, Ledcorp, North American Coal, First Energy, Potash and others domestically and internationally. These classes fill up rapidly so Contact our office for more information on Carlson Mining training. Maximize your production with the software, and feel free to contact us for references. rlewis@harken-reidar.com or 540-635-6742.